Sales are at the heart of every organization. As sales become more complex, the need for a system that manages them becomes essential. Multiple pipelines are essential – regardless of industry. For example, your company may have various products, and each product has its own unique sales cycle. You may have services that require longer and more complex stages. Each product and service is unique, and so is their sales cycle. That’s where multi pipelines come into play. But what is a pipeline? It is an accurate visual representation of your sales process, as well as the stages involved in closing your deals. Flexie allows you to have multiple pipelines. This way, you can keep track of more than one process in your company. Whether you are an experienced sales team or have just started out, our sales pipeline is fully customizable, thus allowing you to align the sales pipeline with your unique sales process. This means more efficiency for your sales team, which in turn could easily translate to more deals being closed. In Flexie CRM, you can create multiple pipelines, and track them throughout the whole process. Flexie provides you with a fully customizable pipeline. 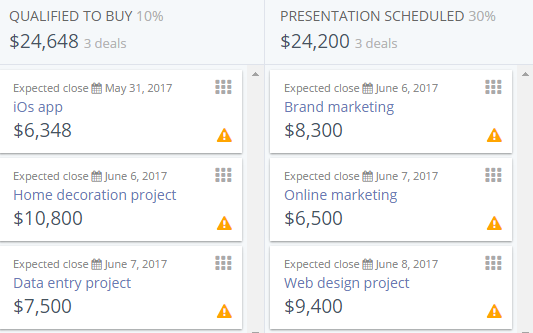 You can add as many sales stages as you might need, assign a percentage success on each stage, and also order the stages as you want them to show under your pipeline grid. 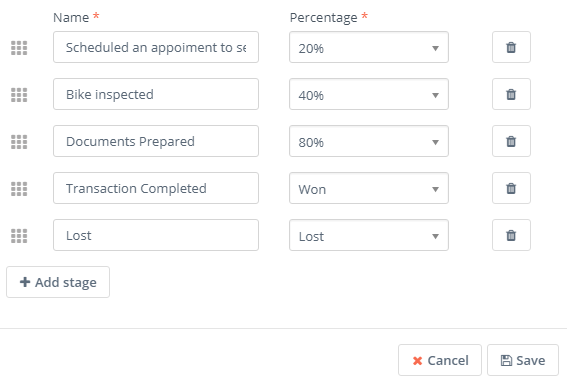 Manage lead fields; delete, change, or add new ones according to your needs. The easy-to-use interface lets you find all the relevant stats you need. In Flexie CRM, you can find easily find the deals you’re looking for. You can either use the system’s filters, or you can add your own deals fields and use them as filters to find only the deals you want. You can create as many pipelines as you may need, and you can easily switch from one to the other.